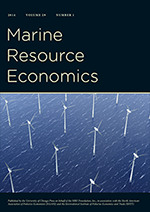 Hey John, looks like we have some competition for our FORTHCOMING encyclopedia titled "Environmental and Natural Resource Economics, available for pre-order on Amazon for the low price of $71.20 (with a picture above). And the competition comes from "Nobel Peace Prize winner"* and musician extraordinaire J. Shogren. *..."the Intergovernmental Panel on Climate Change was awarded a Nobel Peace Prize for its research establishing a connection between human activity and global warming. Shogren was one of 2,000 scientists and researchers on the panel.